Humans from a previously undiscovered species have now been found from an excavation of fossil bones and teeth belonging to at least three individuals in Callao cave on the Philippines’ Luzon Island. According to a scientific journal published in Nature, the bones and teeth are from a new human species that existed some time between 50,000 and 67,000 years ago, and scientists have named them ‘homo luzonensis’, after the island. One of the physical differences that set them apart from homo sapiens include a more curved toe bone that resembles the toes of an ape-like creature Australopithecus that existed millions of years ago, way before humans did. The teeth of the species also resemble ancestors that lived before human beings. 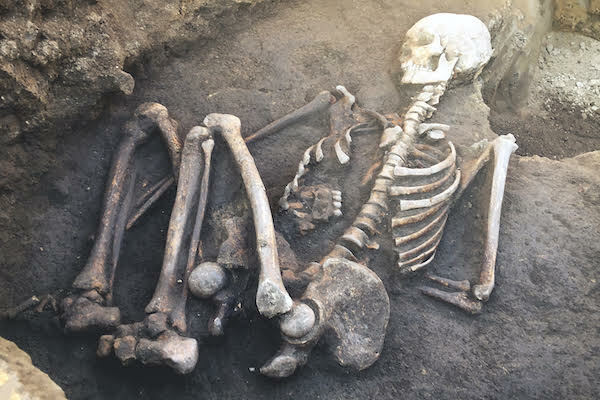 What is also confusing is the combination of primitive and modern traits in the bones found, according to paleoanthropologist Shara Bailey of New York University. This new discovery is changing the face of archaeology as scientists now realize there are a lot more variations in the early human form than they had thought for a long time. Archaeologists just discovered a new human species in the Philippines.